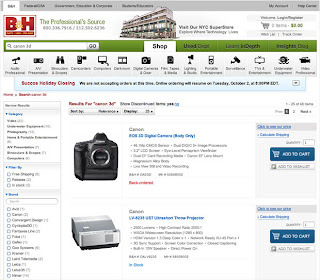 Someone 'found' a Canon EOS-3D camera listed on B&H Photo's website and made an image of the screenshot. There are ample signs Canon is developing a full framed, megapixel camera to fill the void left by the venerable EOS-1Ds MK III camera. No one knows the final designation of the new camera or when it will be announced because of supply chain disruption fears by Canon from the current unrest in China toward Japanese companies, which I have reported in my earlier posts. 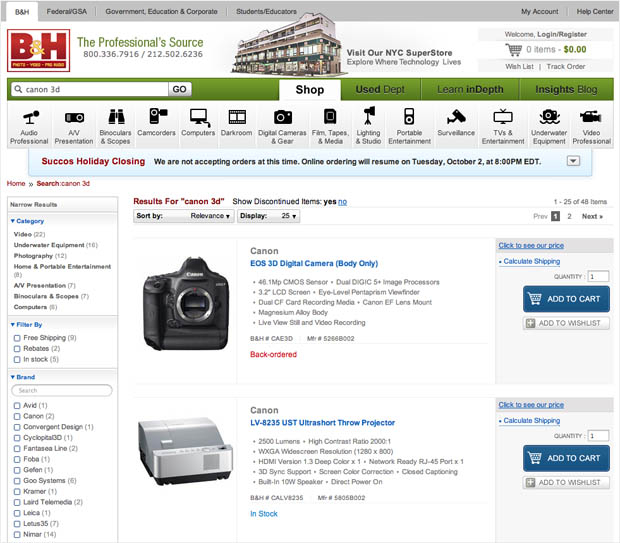 The 'posting' on B&H's site invites ridicule but it opens up an even larger question. Is B&H's site secure enough to prevent this kind of postings in the future?